Browns vs Chiefs, who ya got? 2. you are on 'who wants to be a millionaire?' you get to phone a friend, from the forum which genius do you choose? (we have sort out who the forums real genuis is, I can't handle two posters having genuis in their name) PS and it aint me or hornby. 3. Is this the week Hue goes from bus driver, to being at the bus stop? The forum exploded, why no Sam Darnold? Our roster offense looked good before the start of the season, we had Coleman and Gordon on the outside and Landry in the slot. And the world kindly exploded with us. We were relevant..... I made a thread about playoffs. We have since come down to Earth. Hue Jackson and Zane took us there, unwillingly. will this guy put us out our misery? the chiefs are on fire right now. they are 7-1 and on fire, with a red hot offense. Our chances of winning must 1% or lower. 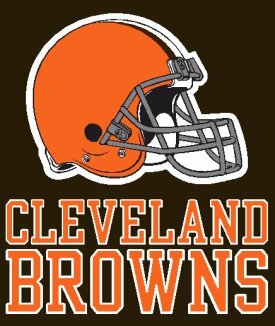 God Bless the Cleveland Browns, they need it. Does this game have to actually be played? This game is gonna get soooooo ugly. Two young teams going in completely opposite directions. I'll definitely waste 3 hours watching it. When the Chiefs score, at least get the ball to Kelce...the guy is a monster on my fantasy team. *This message brought to you by Kansas City Chiefs fans worldwide. Feel fairly confident it won’t be any time soon tbh. Maybe with a couple games to go, but I’d still doubt it. Black Monday almost for sure. Huge mistake imo. I echo Marla ridenours sentiment - if they were just losing, that’s one thing. But it’s about to get DRAMATIC. No need for hues under the bus shenanigans and just general disarray. I picked a 34-17 loss yesterday and was about as close as you can get. Maybe I need to pick closer ones. I'll say Chiefs 42, Browns 24. Idk, it’s gonna be the same offense and same defense with Hue or without. The huge mistake was not canning him last January. I wouldn’t be upset if they did, but I don’t think it fixes much in the short term nor do I think it’s likely, at least not for another month. Defense: Myles Garrett 2 sacks ogunjobi comes out of his slumber with a sack, Ward and Randall with a pick. 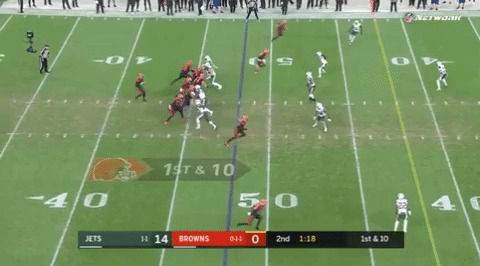 Offense: Mayfield accurate passes and good decisions. Callaway 3 drops, Njoku 2 drops, Ratley 3 wrong routes, Landry 9 catches for 42 yards, Chubb 17 rushes 87 yards TD, and Duke 4 touches. Chiefs infinity, Browns negative infinity plus 1. 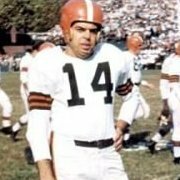 Unless Hue gets fired then we win regardless of the score. Kiwibrown with the GDT that all others will be measured against. A brief bit of sunshine in an otherwise gloomy week. Well done!